I'm assuming we won't get the likes of Cronin back. Rhys might be one that could need some game time though. Think I'd prefer Daly or Frawley at fullback, with DK on the wing. DK has been excellent on the wing lately. Would we try Lowe at fullback? ronk wrote: Would we try Lowe at fullback? 3 into 2 conundrum. We need to have JGP in the team, and hard to argue against Fardy when we're missing Toner and Ryan. We don't need these points so total focus should be on the shape of the team we want for Ulster game. The 3 into 2 question being central. Where is Luke McGrath in his recovery? Does Jack McGrath need a serious run? What is the range of left-wing options? Is Sexton likely to be fit after games against France and Wales? What's Dev's recovery period? Is SO'B dedicated to Leinster or just Ireland and RWC? Fergus McFadden is back in full training. Sounds like Leavy and Tomane aren't at that stage yet. Possible Leinster side this weekend? 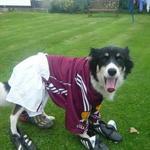 With the game being in Italy I guess we're unlikely to get any of the subs from the Scotland game back for this match. mildlyinterested wrote: Possible Leinster side this weekend? Might be worth giving O Sullivan another start with JGP on the bench as backup, can see them giving Doris the start at 8 but I prefer Deegan myself. 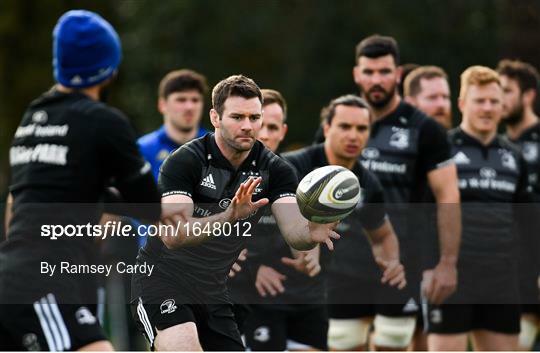 Porter was training with Leinster today. No sign of James Lowe anywhere in those training pics. Ruckedtobits wrote: No sign of James Lowe anywhere in those training pics. He is in Dublin anyway. Josh Murphy pictured back training. Ruddock and Jack McGrath at Leinster training today too. I'm beginning to think Leinster have killed him and are just playing for time. 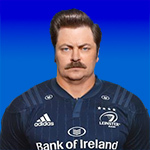 You're gonna have to produce a body some time Leinster. We can wait! LeinsterLeader wrote: Has anybody seen Leavy? cormac wrote: Ruddock and Jack McGrath at Leinster training today too. Jack wasn’t in training gear.